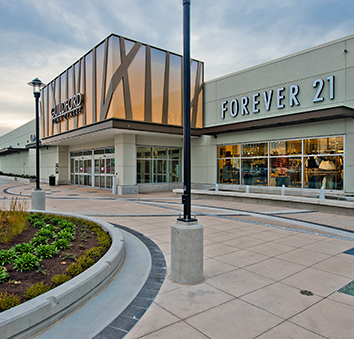 At Guildford Town Centre, you will discover a premium shopping destination like no other in the Fraser Valley. Our fully enclosed shopping centre features 200+ stores, services and restaurants to choose from such as Hudson's Bay, Apple, Walmart Supercentre, Disney Store, London Drugs, Uniqlo, H&M, Forever 21, Old Navy, The LEGO Store, Sephora, Victoria's Secret and more. Guildford Town Centre is owned and managed by Ivanhoé Cambridge and is centrally located in Surrey, British Columbia, the second largest city in the province and fastest growing in Western Canada. Guildford Town Centre welcomes over 14.8 million shoppers into our fully renovated shopping centre per year. Since the renovations, Guildford Town Centre received BOMA BESt Level 3 Certification and is LEED Gold certified in the expansion. Learn more about how we are keeping it green with our green initiatives. 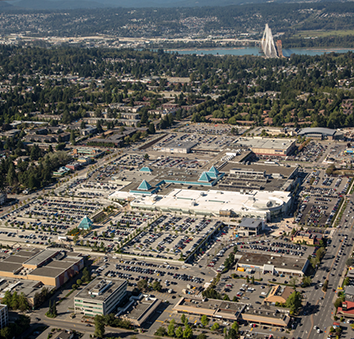 With eight renovations over the decades and hundreds of community events, Guildford Town Centre plays a central role in the City of Surrey community and the Fraser Valley.